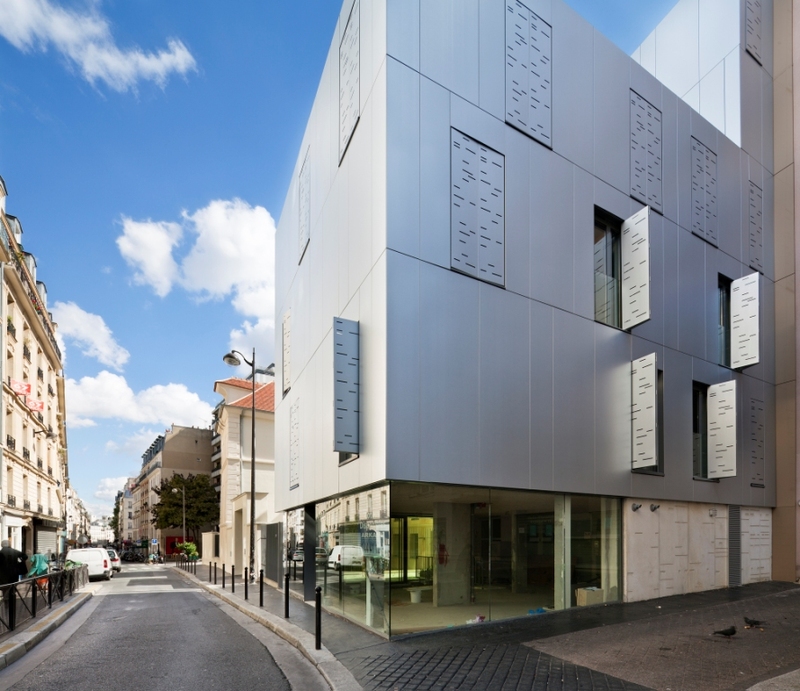 Did you know that thanks to Aluzinc® architects can play with the light in the heart of Paris? 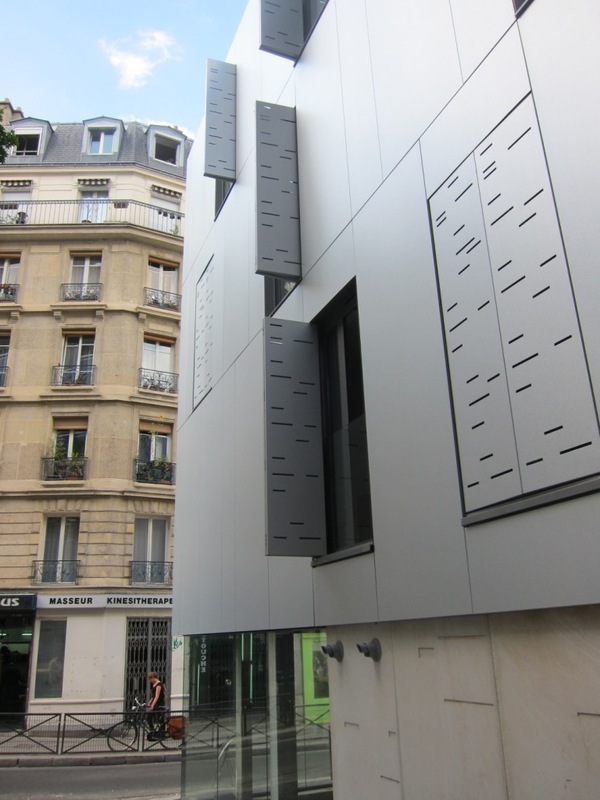 In the Rue Marcadet, a long street in the 18th ‘arrondissement’ of the French capital which combines architecture of very different eras and styles, nine homes are seducing the passersby with their attractive façade. 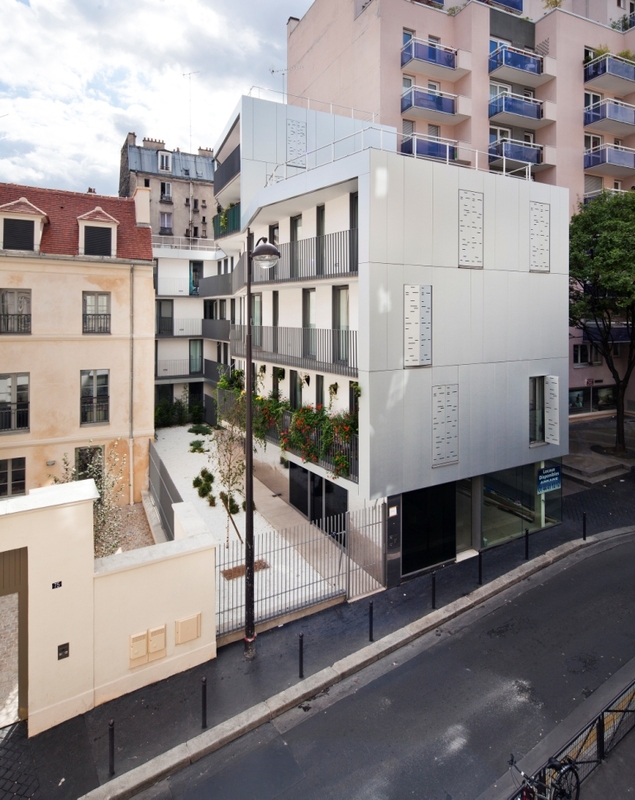 Incorporated into the building envelope, Aluzinc®, a metallic coating from ArcelorMittal Flat Carbon Europe, with its manifold possibilities, plays a major role in this beautiful ‘Marcadet’ Residence. The northern and western façades of this eye-catching building were realised with our Aluzinc®, which gave the architects the great opportunity to play with the light and the reflections of the surrounding buildings. … a more than conscious choice! And according to Sandra Planchez from Cantin Planchez Architectures this is exactly one of the most important reasons why Aluzinc® fits extraordinarily well in this concept: ‘For our project, we sought a material or cladding compatible with external insulation, both light and shimmer, with a texture that is not completely smooth, and that makes it possible to play with the light, even when it is indirect due to the northern exposure. So we have chosen Aluzinc®, which entirely met these criteria because it provides both brilliance and lustre, and a powdery or crystalline effect by turns. 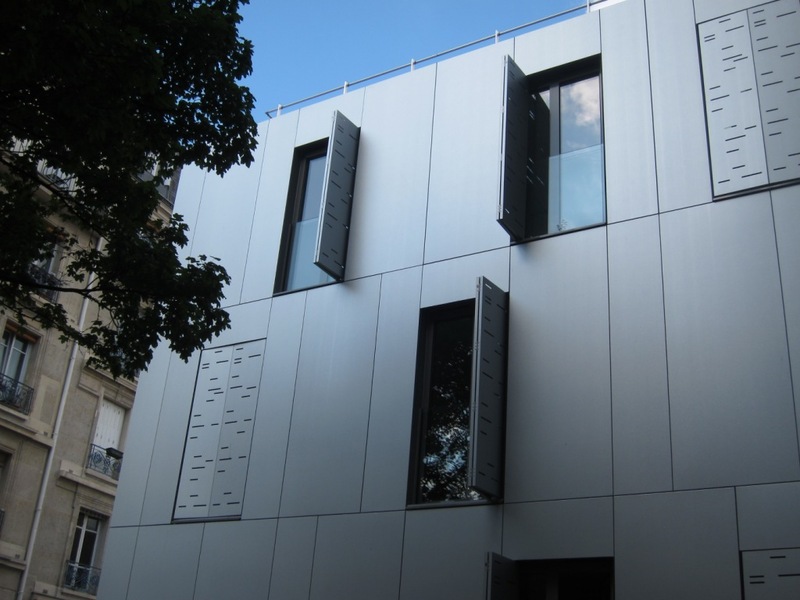 The folding shutters are also made out of Aluzinc®. Being perforated, they are a copy of contemporary blinds and allow us to perfectly regulate the supply of light and views into the bedrooms. and its ease of working (e.g. for perforations).